Did New York really happen? Did we really just spend six weeks there? It’s hard to believe we criss-crossed the expansive Atlantic in such a short time span, dabbling in diverse cultures as we went. From the dusty beauty of Morocco to the neon brilliance of New York (complete with familiar comforts of home), and now, the mysterious world of Turkey. Our exhausted minds were awhirl as we landed in yet another new country, hearing strange words, once again adjusting to a different perspective. “Here is the New Mosque,” our taxi driver said as he drove into the heart of Istanbul, pointing out one of the many mosques that speckled the cluttered view outside my window, “it finish in 1665.” He rattled off dates for several buildings as we passed them, making him our unofficial tour guide on our first official visit. “The New Mosque?” I asked rhetorically, “That’s older than the whole country of Canada.” He repeated my statement with laughter, shaking his head. He continued to point out more landmarks along the way, flexing his English and chuckling at our feeble attempts at Turkish. We were beleaguered from our long journey, but jacked with anticipation. For as impressive as New York was, we were once again whisked away to somewhere new and exotic. Our exhausted minds were awhirl as we landed in yet another new country, hearing strange words, once again adjusting to a different perspective. Our brief exploration of Istanbul transported us back many centuries, starting with the stunning Hagia Sophia, which has been many things to many different generations. Since the sixth century it has been an Eastern Orthodox Cathedral, a Catholic Cathedral, again an Eastern Orthodox Cathedral, an Imperial Mosque, and now a museum. 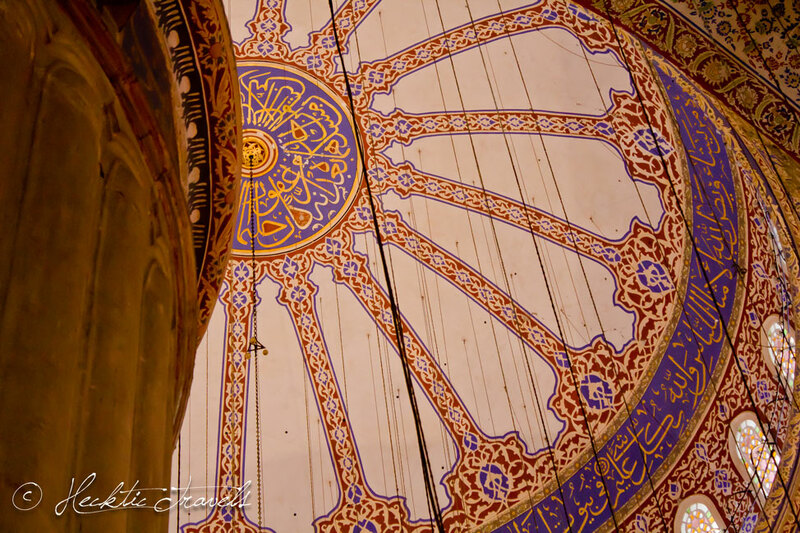 In the heralded Blue Mosque we quietly loitered, taking in every bright color and complex detail. While it still functions as a traditional mosque, it is open to tourists when not in prayer. On the streets, snow swirled around us with the bitter wind. 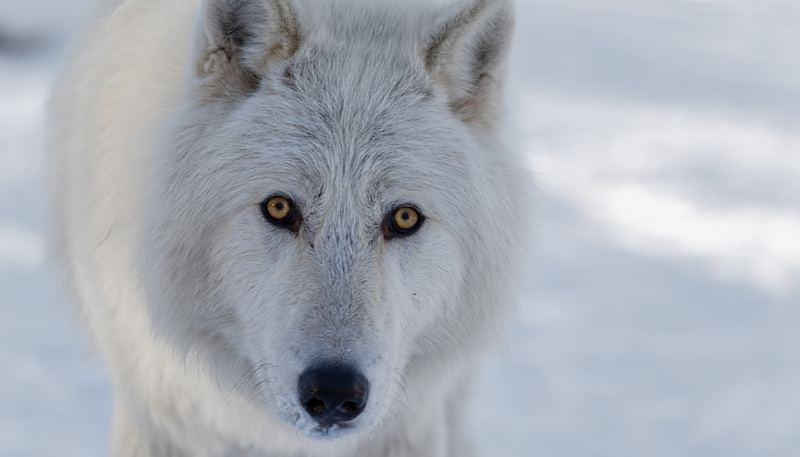 We prolonged our wandering as long as possible despite frozen noses and numb feet. Vendors approached us to sell carpets, waiters to guide us into their restaurants, their warm cocoons of unfamiliar smells and lively foreign chat. On the back street near our hotel, we were greeted with friendly recognition of the maple leaf on our backpack. I remember living in our cozy suburb home years ago, dreaming of such foreign places as Turkey. In those days I was sure that the world was too wide, the space between, impenetrable. But now, our quick jaunts traversing oceans and continents prove that the world can indeed be a small place, if one chooses to make it so. Our visit with these elusive animals. No matter how many Mosque photos I see, they always look amazing when someone who knows what they’re doing takes them. Istanbul was overcast when I was there, and the photos turned out rubbish (the outdoor ones). Thanks Ian! 🙂 Our outdoor photos were hard to take as well, it was completely overcast and our fingers were freezing trying to use the camera! But we do have a couple that we will post on Friday. These are incredible photos! I love the lighting and post processing. Inspired me to visit Istanbul (the entire Middle East/ Orient is a rich palette). Thanks for posting. Thanks Charu. We couldn’t agree more about this part of the world, can’t wait to start exploring more of it! One of my favorite city! 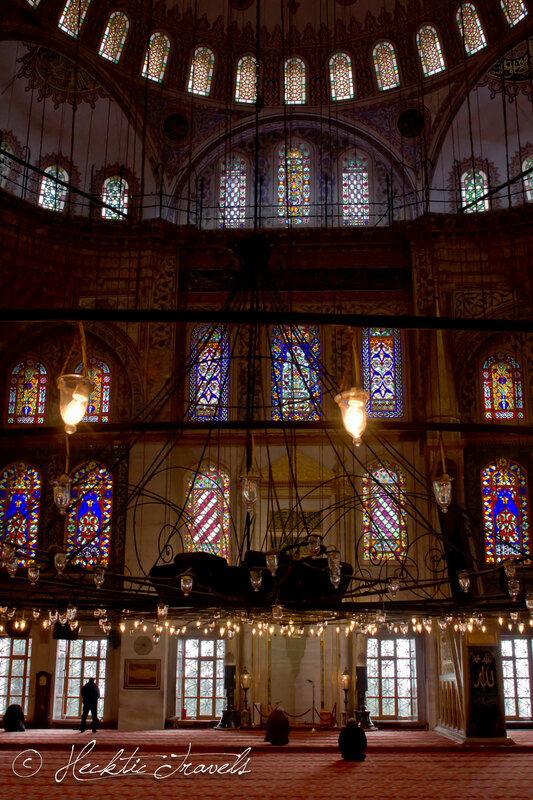 Love everything about Istanbul – food, people, shopping, nightlife – the perfect blend of old and new. Great city. Awesome shots! Thanks Kieu! Alas, our stay was too brief. Can’t wait to get back and see more. Oh wow this photos are amazing although I have a feeling they don`t capture how overwhelming it must be to see it in person. Why do you tease me with all these gorgeous places, I need to stay home a few months! 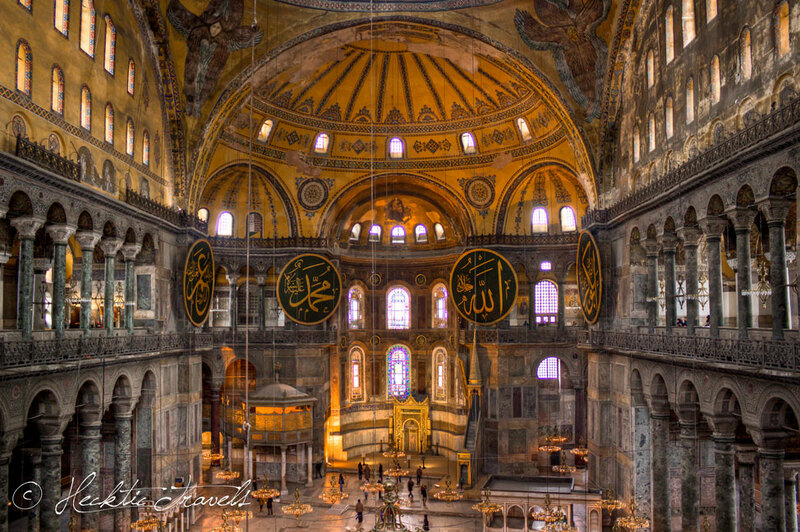 You’re exactly right – Hagia Sophia especially – the scale and intricacy of it is staggering. It’s something that must be seen in real life. As always your pics are AMAZING!!! It’s amazing everyone used that word. I was thinking the same thing as I enjoyed your photo’s. I would love to camp out in those mosques for a week or so & soak up all that architecture. Thanks Mom. 🙂 We wandered in them for quite awhile, with jaws dropped! Really spectacular. Wow, how long will you be in Turkey? Did you see there was a housesit a while back in a cave house in Cappadocia? We will be here until the end of May – housesitting in the NW! We did see that assignment come up in Cappadocia – looked very interesting! Lovely photos. They look so much better than mine. Ashamed to publish mine now. Glad you like your first introduction to Turkey. Looking forward to reading some more of your posts. Thanks Natalie! I’m sure your pictures are great – it is hard to take a bad picture there! We’re heard so many good things about Turkey and Istanbul — I can’t wait until we make it there! Are you guys housesitting in the city? We’re not in the city – about a 9 hour bus ride to the NW Aegean Coast. Lots to see and do around here, but we are excited to get back to Istanbul and do more exploring! 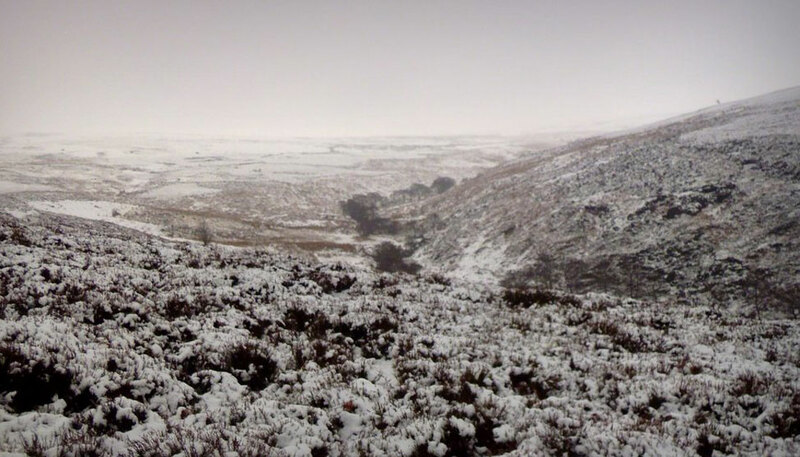 Wow – snow! It was really warm when we were there last year so I can’t imagine that. I didn’t think there would be snow either, but it was certainly a nice reminder of home as it blew into our face. Beautiful shots! I’m back to NYC (my former home, too) next week–sad I missed you! Your photographs continue to be stunning Pete. (And Dalene?!) But what I love most is the way you express the wonder, yet smallness of the world because I truly know exactly what you mean and I love that we are able to experience it doing what we do. I simply can’t fathom living an other life. Thanks Kirsten, and yes Dalene is definitely part of the photography 🙂 We choose to live this life of travel and I don’t think I can think of living it any other way either. See you soon! Exactly, and the ‘taksi’ (as they spell it here) driver here thought it was quite funny as well. check out Chora Church while you are there. It is so impressive! Cheers Mike, I’m assuming that’s in Istanbul? We will be making a trip back there in the next couple of months as we are on the coast right now. Your gorgeous photos really take me back to those breath-taking sites. Can’t wait to hear about your further adventures in Turkey. Are you going to the Turquoise Coast or Cappadocia? Amazing Photos! The last photo is my favorite! I think it is one of my faves as well. Dalene took that one! Isn’t that cool – we also did Morocco and Turkey recently – Marrakech back in March and then Istanbul (also Ephesus/Kusadasi and Bodrum as part of a cruise) in August. Istanbul is just another world. I spoke to a woman who is part Turkish on Monday night at work – she was saying how for her Istanbul is too much like New York for her to feel a culture change – she feels it when she goes out into the countryside. So you, my friends, are definitely getting the true authentic Turkish immersion. I hope you enjoy yourselves, and look forward to hearing about your adventures! And yes, your pictures are stunning! 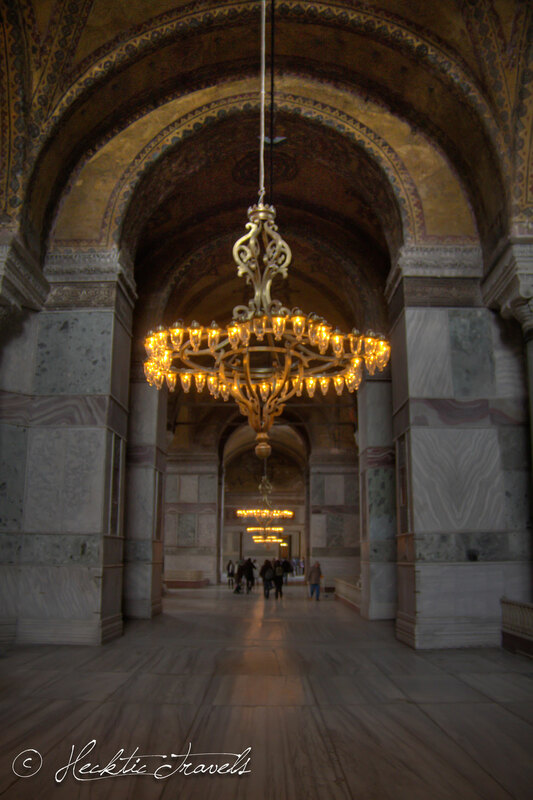 But it is hard not to make places like the Haggia Sofia and Blue Mosque amazing! Wait a minute – that last part sounded like a backhanded compliment. What I meant to say is, those building are so amazing, it’s hard not to take a good picture – but your pictures, as I said are stunning. Thanks Karl. 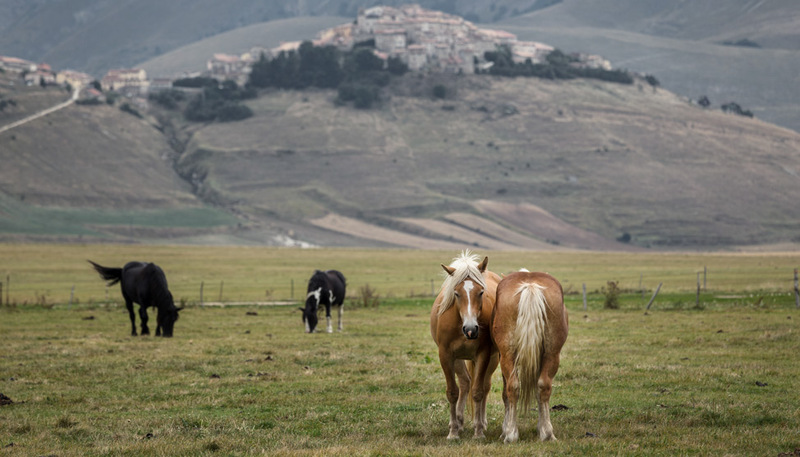 I agree the countryside is definitely more of a true reflection of the culture here in Turkey. And we’re loving it. such breathtaking mosques! love the photos! Thanks Maria. Being there is even more breathtaking. That first step in blows your mind. Gorgeous! 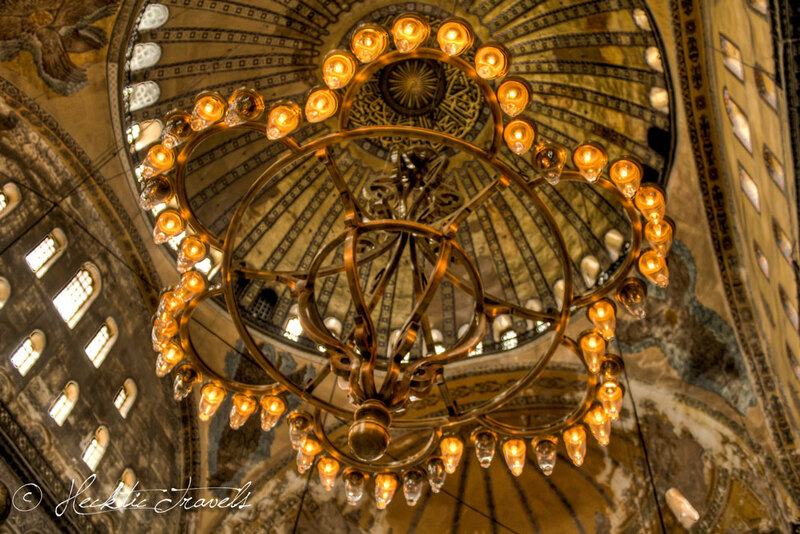 Andy and I will be in Istanbul in a few weeks, and I’m getting so excited looking at your photos! Ali – wish we would be there at that time! But, I’ll see you at TBU, right? Yes! We’ll be in Turkey for just under 2 weeks and then flying straight to Rome. See you soon! I am so happy that you are enjoying Turkey and that, I will have you as house guests in my beautiful town tomorrow. We have so much to cach up since Banos, Ekuador. I just can’t wait to go into the kitchen and start cooking together and I can’t wait to show you around. And I have loads of questions to ask, I have a lot to learn from you. Have a safe journey tomorrow. Gunes – we are SO excited to get there tomorrow and spend some time with you! 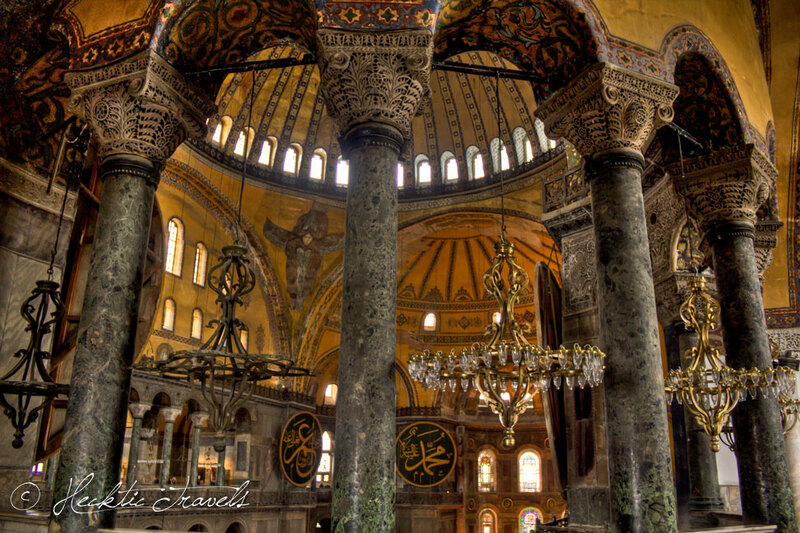 I spent weeks in Istanbul and never saw the beauty in the mosque quite like this! How gorgeous! I’ve seen pictures of that place and I’ve been DYING to go. I think I would take hundreds of pics of just details alone. Oh yes, there are about that many photos sitting on our hard drive now! So gorgeous. 1665? Wow. It’s still breathtaking how many centuries later. This keeps in awe of the talent and creativity of our ancestors. Great shots and thank you for sharing! Alexa Meisler recently posted..A Perfect Day Up North Down Under – Cairns, Far North Queensland, Australia! Wow, amazing photos, guys! We were hoping to get to Turkey on a press trip in May, but it looks like that has fallen through. Have a blast and take LOTS of pics so we can live vicariously through you! I have never been to Morocco, but I sure want to visit it. Everyone is always telling me about how beautiful things are. I’ll just wait a bit until my baby is a bit older and able to appreciate all that beauty. One thing to consider about Morocco: it’s easier to go with a gentleman. It was a challenging place to travel with just another lady friend, especially outside the main cities. I encountered some harassment and felt a bit uneasy at times. In Morocco for sure I could see that. I had a hard time with it, and I was even with Pete the entire time! I find Turkey to be much easier in that regard. I just love that you guys are still on the road, still experiencing new things, still loving it. Your posts are an inspiration! What a beautiful post – pictures, words, everything… We are so lucky to live in a time where the world is really accessible. Thank you for sharing a part of it with us. I couldn’t agree more Kate. It’s a wonder to be able to see the world as easily as we do now – I don’t know why more people don’t do it! So amazing that you went from NYC to Turkey. I too dream of going there! Can’t wait to catch up properly on my Stumbles and read more of your adventures! It was great to meet you too Cheryl! Hopefully our paths will cross again!